Prior to the Test in Wellington, I was sceptical of the Springboks’ ability to cause an upset in New Zealand, having last achieved the feat in 2009. However, on the day everything came together. The boys played out of their skins and produced a hell of a response after suffering back-to-back defeats. The Springboks have been described as Jekyll and Hyde merchants in some quarters, but consistency in performance comes down to confidence. 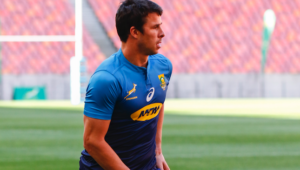 In many ways, winning breeds confidence and beating the best team in the world in their own backyard will engender a massive amount of belief for the Boks. The win at Westpac Stadium will be a catalyst for the men in green and gold going forward. 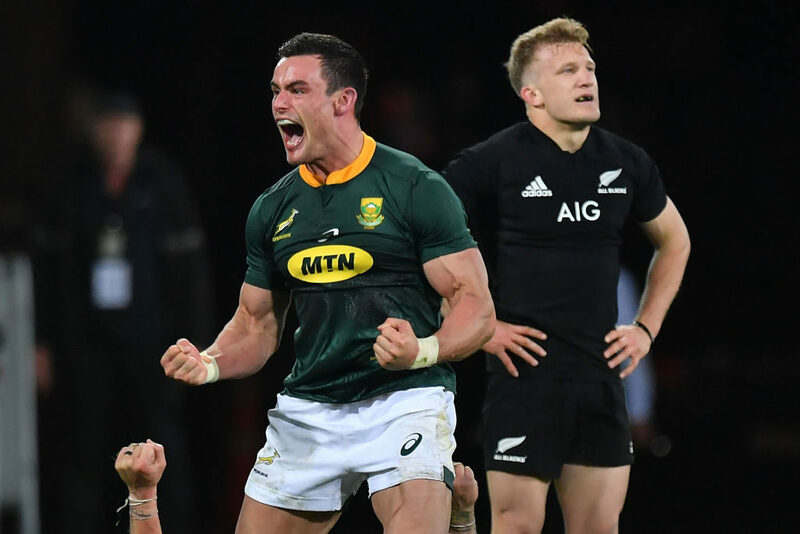 Moreover, the win in Wellington was a personal victory for Rassie Erasmus, who was injured as a player when the Springboks triumphed in the New Zealand capital in 1998. When I started playing for South Africa in 2001, Rassie was still in the mix, but was at the tail-end of his career. In his final Test appearance, I was a member of the 22-man squad. As a coach, like he was a player, Rassie is an incredibly competitive individual and has a sound rugby brain on his shoulders. I am so delighted for him to have shocked the rugby world, having been under the cosh for the past couple of weeks. To see his players stick to the plan and perform to that level must have given Rassie a massive amount of satisfaction. 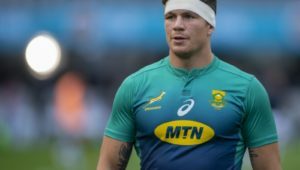 Having played at such a high level for so long, Rassie fully understands the local rugby landscape, the accompanying expectations and is realistic about them, which is a breath of fresh air. A bone of contention post-match has been the refereeing display of Nigel Owens. The Welshman has come in for some stick, with people saying he missed this and that. During my 11-year career with Saracens, I was refereed by Nigel for many years. I enjoy Nigel as a referee and I think he is one of the best in world rugby and for good reason. I’m a big fan of Nigel’s refereeing because he will back himself to make decisions he believes to be correct and I appreciate the fact that he gets on with the game. However, we cannot ignore Kieran Read’s cleanout with the shoulder to the head of Francois Louw, which was particularly dangerous. A potential red-carding of the All Black captain could have vastly changed the backdrop and it remains to be seen whether the citing commissioner comes into the equation. 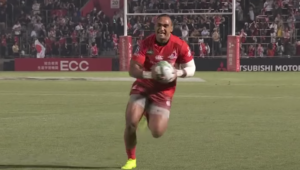 These days in the game, there is a zero-tolerance policy from World Rugby for headshots, so Read was quite lucky to get away with foul play during the match. It’s an age-old debate but, by and large, the All Blacks don’t get away with murder so to speak. The reality is that the tallest trees catch the most wind. Everyone wants to chop the All Blacks down and that’s what the Boks did. Last week, I wrote that it was positive for world rugby that the All Blacks are so far ahead because everyone tries to emulate them and be as good as they are. However, the only thing better than the All Blacks being top of the world and streets ahead of the rest, is having a team like the Springboks beat them. It gives other teams the belief that the tallest trees can be taken down. For me, the result in Wellington was extremely pleasing and it shows that the All Blacks are not unbeatable. Realistically, it’s still the All Blacks’ Rugby Championship title to lose. However, the Springbok victory, coupled with the Pumas’ win in Brisbane, has breathed new life into the competition, which was needed.